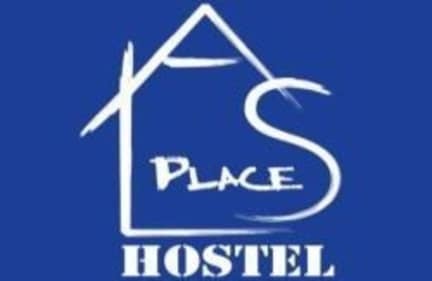 Als Place Hostel i Split, Kroatia: Bestill nå! Customers will be charged 100% for cancellation if giving less than 2 days notice by phone to hostel. Al's is conveniently located on the main backpacker street in Split. Opened by a British adventurer back in 2004, it was Split's first backpacker hostel. Through the years, the area grew into a vibrant travelers' nerve center, with bars, cafes, restaurants and travel agencies. You can sample mouthwatering local food at Villa Spiza, meet fellow travellers at Charlie's Backpackers Bar, or sip delicious cocktails and craft beers at Sanctuary – without ever leaving the street. Diocletian's Palace and other main attractions are all within a stone's throw. The main bus/train/ferry hub is a 15 minute walk away, as is the closest beach. 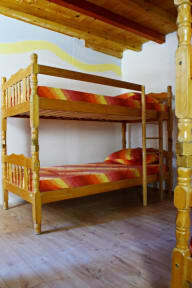 The hostel has two dorms, each with its own bathroom, lockers, and air conditioning. The facilities include a kitchen, free towels, laundry service and wifi. It's a small, simple and laidback hostel with a relaxed vibe, conducive to meeting other travelers. Our staff and volunteers are always at your service, ready to help plan your days in Split or travels to the next destination, as well as taking groups out sometimes for dinners, drinks and nights out. If you're looking for an affordable, safe, comfortable and fun place where you’ll feel at home whilst exploring Split and the area, this is the place! *Reception hours: 09:30 - 22:00. Please contact us at least a day in advance if you're arriving outside of reception hours. *We have a 48 hour cancellation policy - in case of a no show or a late cancellation, you will be charged for the first night’s stay. *We are a little tricky to find - being inside a UNESCO Heritage zone we are not allowed to put up signs, so make sure to carefully follow directions. *We do not accept credit cards. Payment must be in Croatian kuna. *VAT and occupancy tax are included in the price. *There is a loud bar right across the street that goes on until 1am every night, so please keep this in mind, or book somewhere else if you prefer early nights and a totally quiet environment.